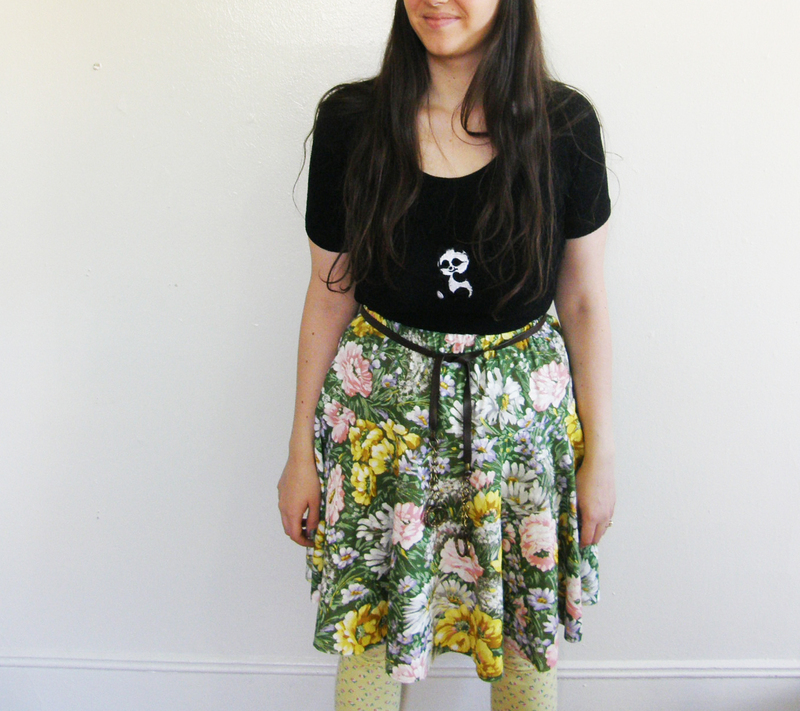 It features two tiers…aka a top yoke so I can make the skirt all one fabric (like shown) or have the top and bottom yokes different colors. The waistband has an elastic casing (or optional drawstring) so it fits 25 – 32 inch waist. 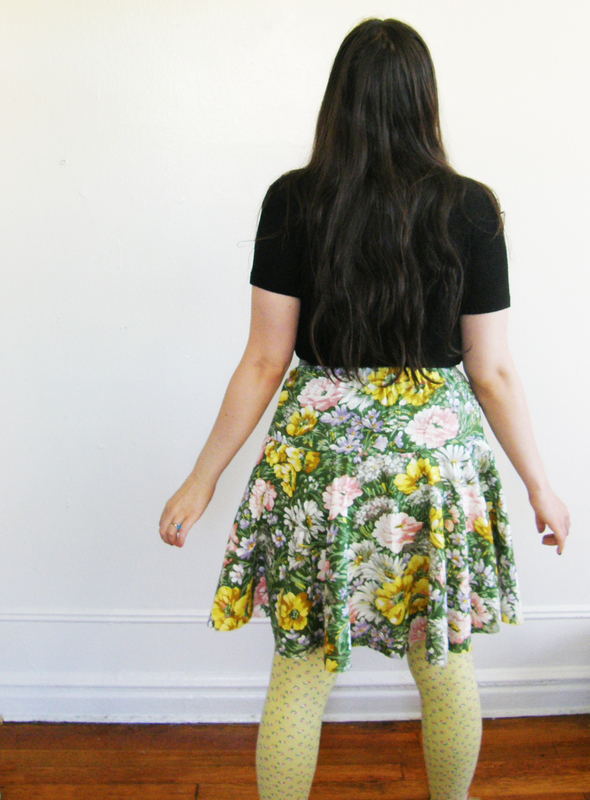 I made this particular skirt out of a very soft 70s cotton I managed to snag for about $8 for two yards including shipping. I left the bottom edge raw so that it will eventually start to fray (I love the fraying on this kind of cotton). It’s a little hippie without being too hippie. 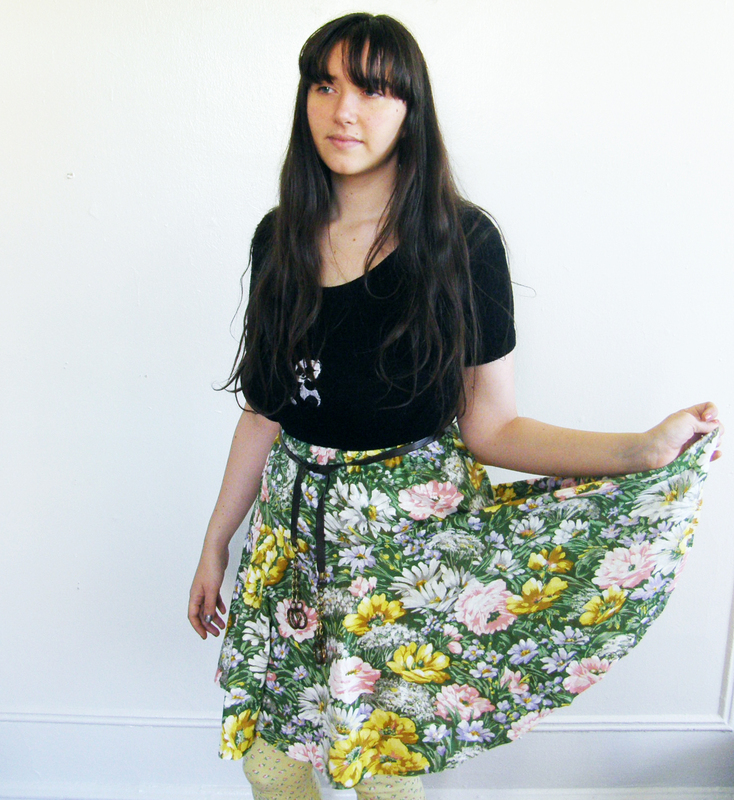 If you like the skirt, be sure to check it out on Etsy and give it a favorite if you can!